Select the menu command “file“ then “print“. Press the CTRL + p shortcut key combination. 1, select the appropriate check box, and use the “range“ field specifies the print element. 2, select a range of text, the network, or line and select “print“. You should check the following items: the “print order/“ write correctly in the frame Editor; “scope“ items box, select the correct POU (if applicable), POU “scope“ free right of the entry box radio button; “scope“ shows the correct number in the entry box. Can be copied in STEP 7-Micro/WIN project 32: text, instruction or data domain, a single network, multiple adjacent networks, POU in all networks, rows or columns, or the entire state diagram, symbol table rows or columns, or the entire symbol table, a data block. But not copies or multiple noncontiguous networks. Cannot bulk copy data from one local variable table and paste it to another local variable tables, read–only l memory assignment for each table must be unique. Cut, copy, or delete the network as a whole in LAD and FBD program, you must place the cursor in the network header. From STEP 7-Micro/WIN 32, an importer, you can use the “import“ command to import ASCII text files. The “import“ command does not allow you to import the data. Open a new or existing projects, you can use “file“ → “import“ command. If you import OB1 (main program), will delete all existing POU. Then, as OB1 and as ASCII text files, all part of routine or interrupt program ASCII data creates an organizational unit. If you import only subroutines and interrupts the program (not defined in the ASCII text file of the main program), POU defined in the ASCII text file will replace all existing corresponding number from STEP 7-Micro/WIN project 32 POU (if STEP 7-Micro/WIN project 32 is not empty). Existing STEP 7-Micro/WIN project 32 main program and is not defined in the ASCII text file of all STEP 7-Micro/WIN 32 POU is retained. If the STEP 7-Micro/WIN 32 projects may include OB1 and SUB1, SUB3 and SUB5, and from an ASCII text file import, SUB2, SUB3 SUB4. Final project: OB1 (from STEP 7-Micro/WIN project 32), SUB1 (from STEP 7-Micro/WIN project 32), SUB2 (from ASCII text file), SUB3 (from ASCII text file), the SUB4 (from ASCII text file), SUB5 (from STEP 7-Micro/WIN 32 projects). Editor for the export program to STEP beyond 7-Micro/WIN 32, you can use the “export“ command to create the ASCII text file. The default file name extension for “•” awl “, you can specify any file name. Program only successfully compile can execute “export“ operations. “Export“ command does not allow you to export data. Open a new or old projects to use the “export“ function. If you export a OB1 (main program), all existing project POU as ASCII text files, and exporting. Export routine or interrupt routines, currently open for editing a single POU exported as ASCII text files. This entry was posted in plc program and tagged Learn PLC programming, plc basics, plc courses on June 17, 2016 by arco. S7 clock time by time and time value is composed of two parts, time is equal to the product of time and timing values. 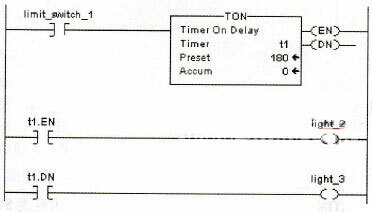 When the timer runs, the timing values continue to lose 1, until reduced to 0, down to 0 means that the time to. Time after time to cause the timer contacts. Timer No. 0 on the 11th store timing values in BCD code format, three-bit BCD code range is 0~999. 12th, 13 storage time base in binary format. As can be seen from the following table: small time base timer resolution high but narrow time range; base at low resolution, wide timing range. When the timer starts, the accumulator 1 low–Word content is loaded by as time timing. The process is controlled automatically by the operating system, the user simply accumulators • mount a different number, you can set the time you want. T = time base, values of 0,1,2,3 to represent the time base for 10ms, 100ms, 1s, 10s. 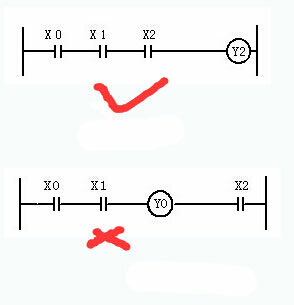 XYZ= timing values, value range: 1 to 999. Where: a= hours, BB= minutes, CC= seconds, DDD= milliseconds. Range: 1MS to 2H_46M_30S; at this point, the time base is automatically selected, the principle is: according to the scheduled time can meet the requirements of timing range minimum time base. S7-300 offers a variety of forms of timer: pulse timer (SP), extended timer (SE), ondelay timer (SD), connected with keep delay timer (SS) and power off delay timer (SF).